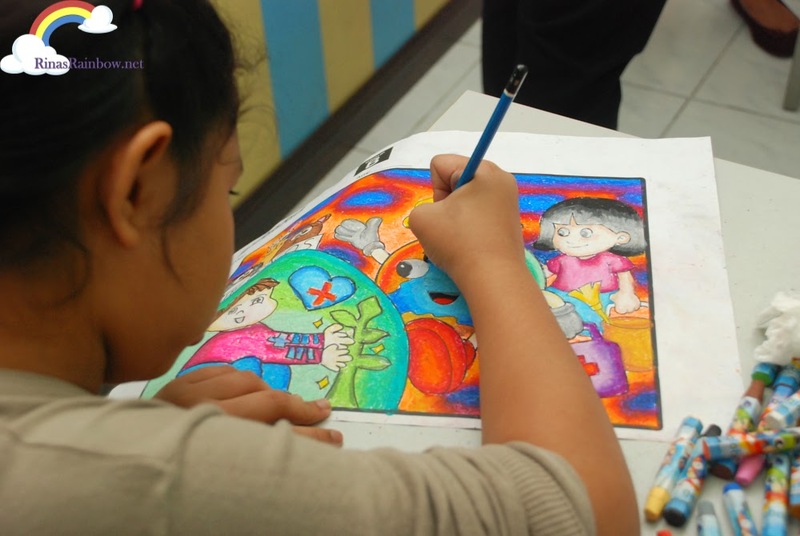 Rina's Rainbow: Imaginations Running Free at Global Art Philippines! 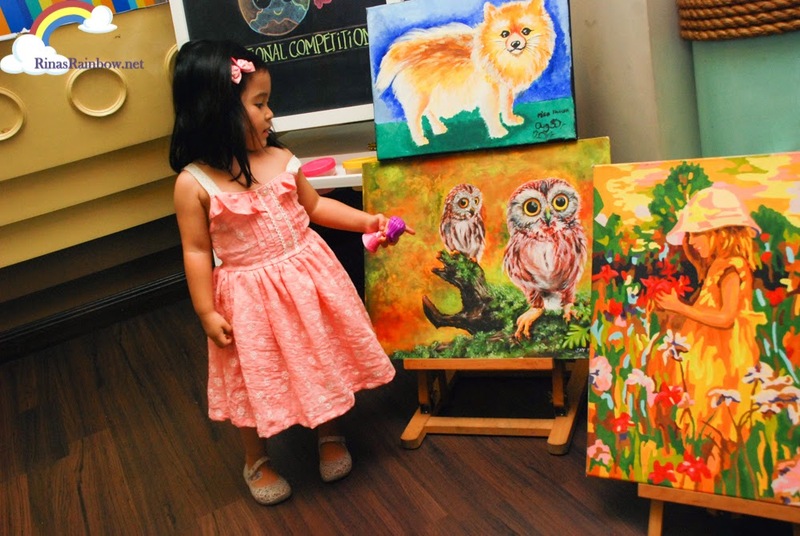 Imaginations Running Free at Global Art Philippines! As a child, I have to admit I wasn't the model student. I wasn't rebel or anything but I never made it to any top positions.I hated math. I hated memorizing dates in history. And that was okay for me. But one thing I did know is that I loved art. Anything that required creativity, I was interested in. And I'd like to think I was pretty good at it. Not expert good but pretty good. 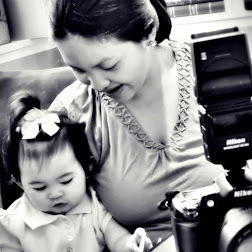 And it's something that I hope little Rainbow will take an interest as well while growing up. Right now, Rain can only do scribbles. Hardly any shapes being formed yet when he scribbles on a paper. But with a little practice, I'm sure she will get the hang of it. And a fun art class like Global Art will really help as well! 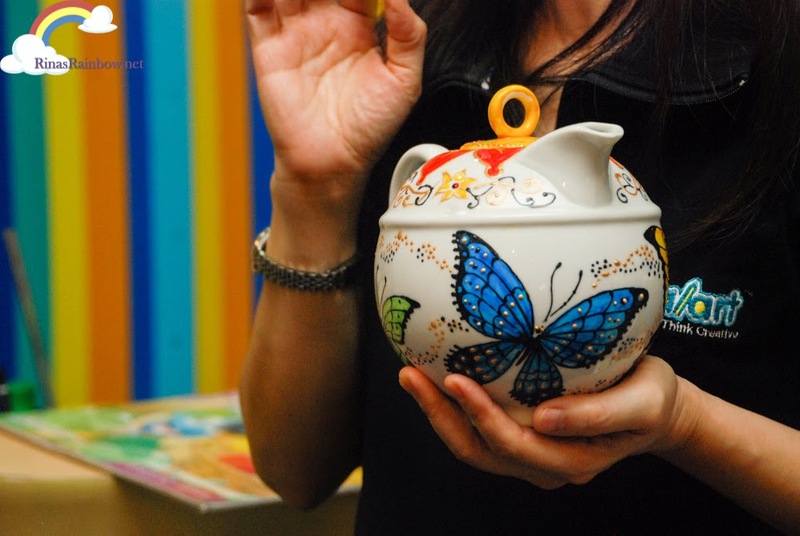 Global Art is this amazing world-class art enrichment program for children starting toddlers, all the way to teenagers. 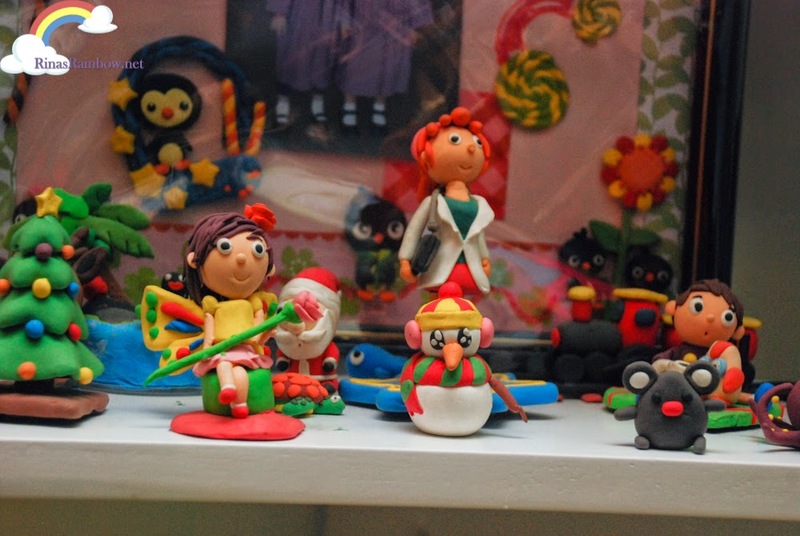 I went there a few days ago to check it out and you won't believe what these young children can do with art materials! The painting of a dog and the painting of the little girl in the bottom right was done by children. 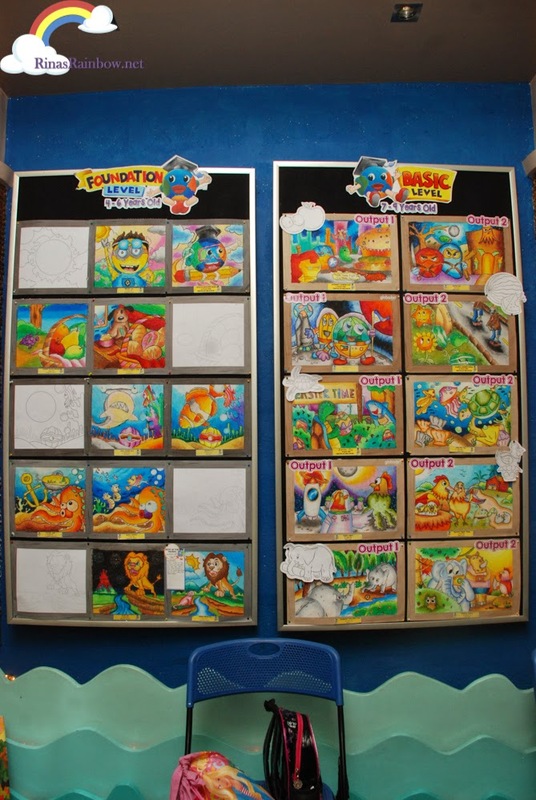 Forgot exactly what age but doesn't change the fact that they're children who did these expert-looking paintings! Rain couldn't help but adore them! 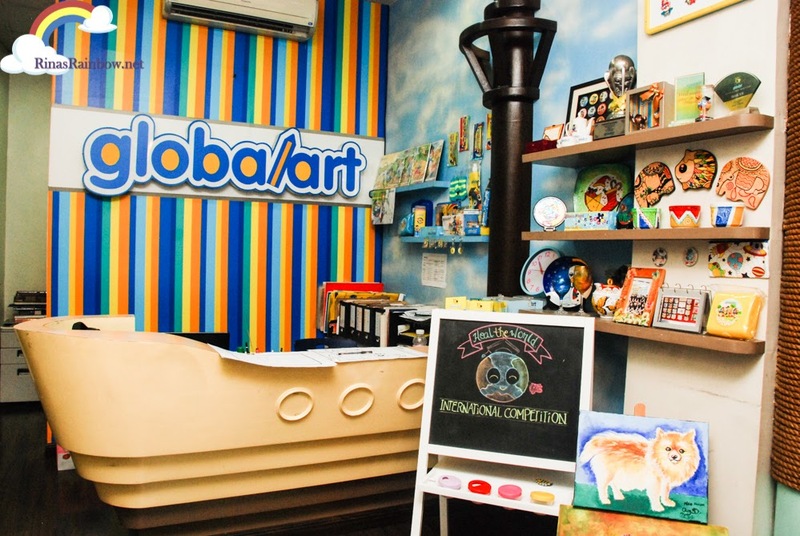 Global Art was founded and started in Malaysia wherein children are taught to express themselves by creating their own works of art, and not by copying certain styles and images. Since then it has spread world wide namely Singapore, Sri Lanka, India, Indonesia, Brunei, Thailand, Vietnam, Australia, USA, China, Myanmar, Cambodia, Hong Kong, and of course, the Philippines. Look at these artworks on the walls. At first I thought they were just showcasing the works of their students, but it was a little more than that. 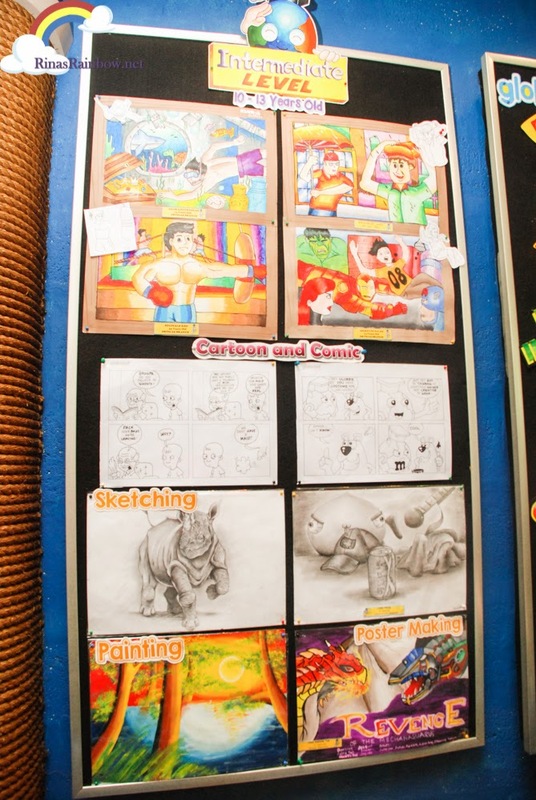 These walls show the categories and the levels of art that children work on from beginners to advanced. When you take a closer look you will see that these are not just your basic coloring book sheets. 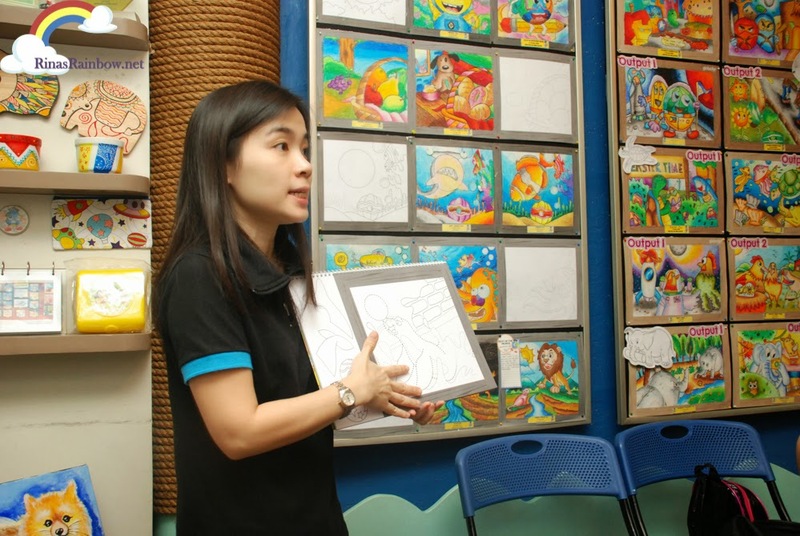 Mrs. Yenny Saw, Global Art Philippines' Country manager, shows us samples work sheets with templates that their students work on per level. 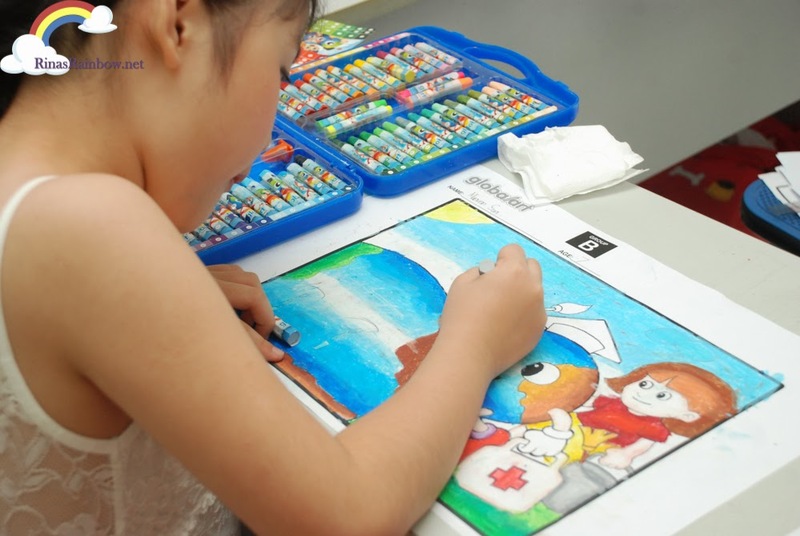 A pattern or image/images are printed in it, and then the children are asked to use those images and turn it into their own works of art. For example, the sheet on the left is the template sheet, and the picture on the right is finished masterpiece that the child created out of the simple lines from the blank sheet. 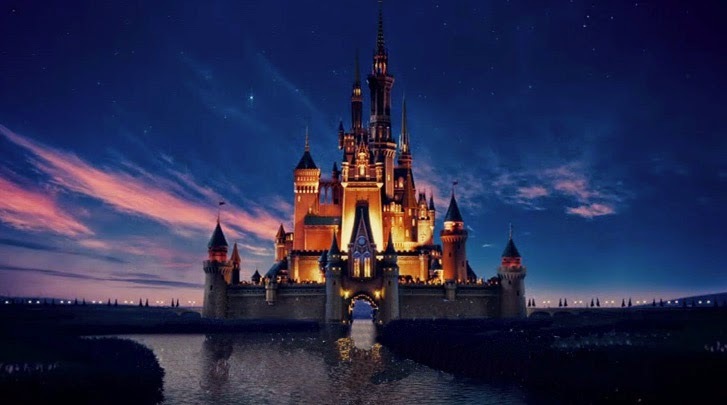 Clearly, children are really being taught to let their imaginations run wild! 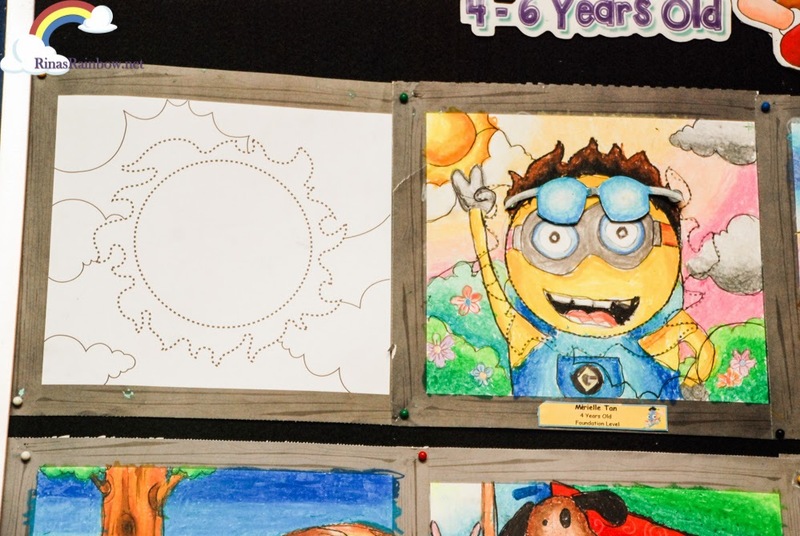 Look how the kid transformed a sun-looking shape template into a minion with wavy brown locks of hair?! It's really amazing! And I have to admit it looked so much fun that I wanted to ask for a template that I can do! Seriously! There are different instructions per level. 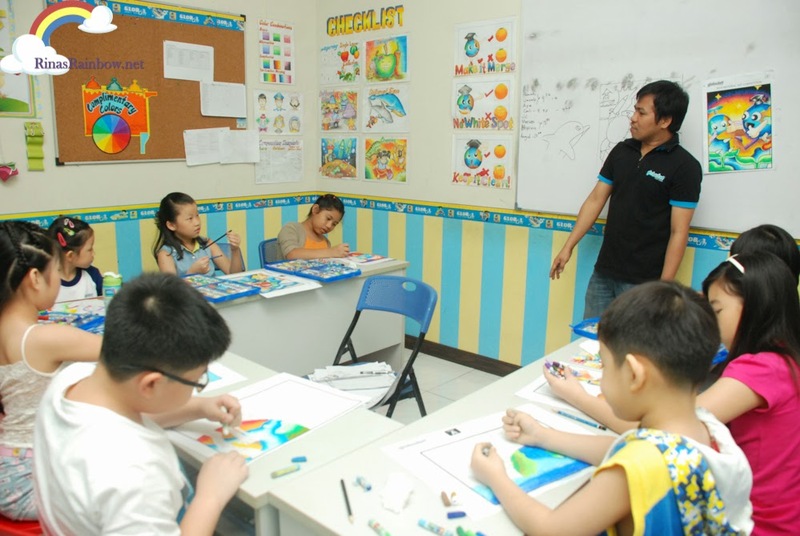 The Junior Level is where children ages 3-4 years old learn about basic colors and shapes through story telling, coloring, and handicrafts. The Foundation Level is for kids 4-6. Dotted lines rule this level. Because it helps guide kids with short attention span and helps them with their motor skills (Cool! Makes sense!) 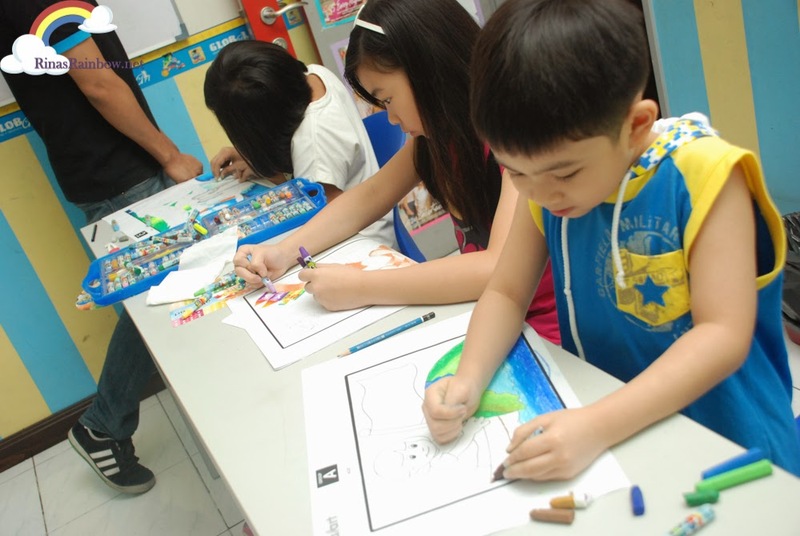 They are also asked to draw more objects in the template and of course color them. How amazing that a kid can think about transforming a simple circle shape into a whole shark? (3rd row). Or a basket with oval shapes template into a basket of bread or fruits? (First row). Next is the Basic Level. For kids 7-9 years old. The children are given a theme (for example, a chicken) and then he is required to draw a whole picture with a chicken in mind. They do not need to copy the picture of the chicken in the worksheet. 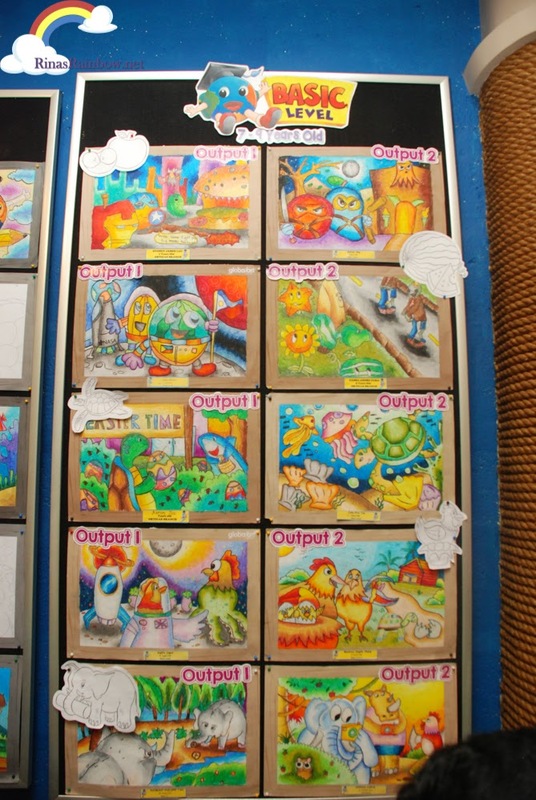 They are required to make up a story, and make it into one drawing. 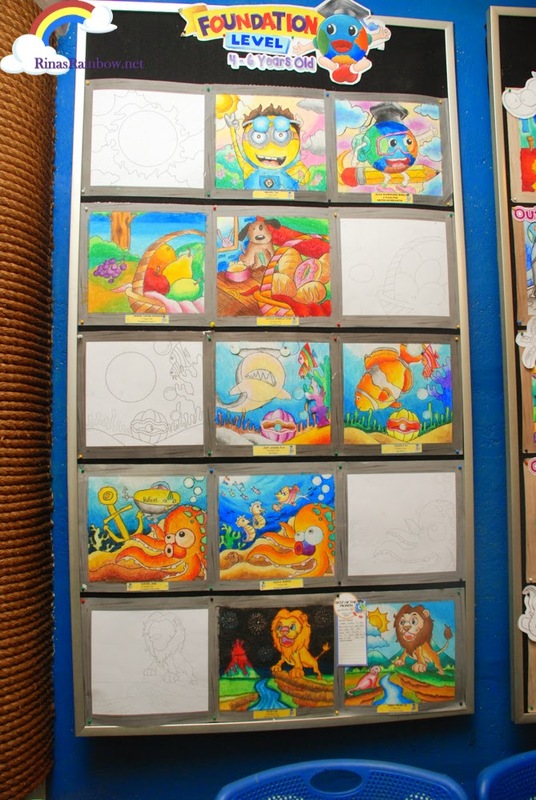 Like in one of the student's work in the photo above for instance (4th row). The child created a half-chicken, half alien and a chicken astronaut walking on the moon. Now that's a pretty wild imagination! Again... Mind. Blown. 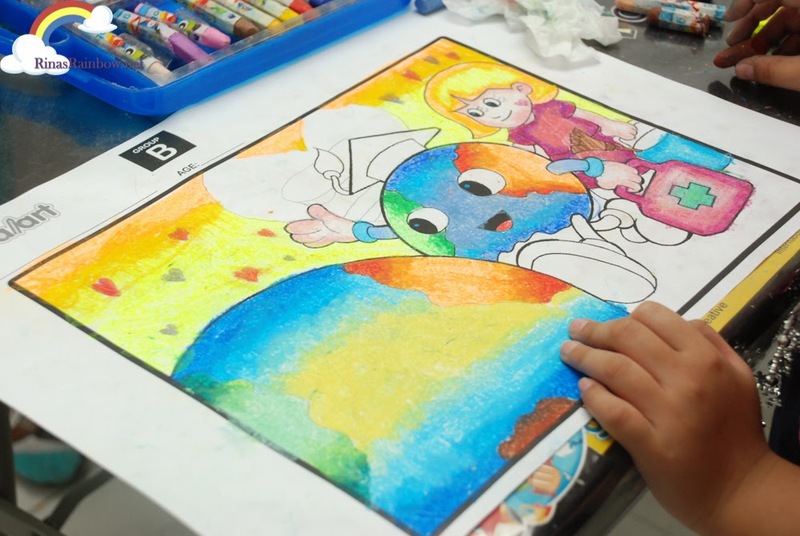 On the Intermediate level, for kids 10-13 years old, kids can practice enriching skills in drawing, sketching, poster-making, cartoon and comic making by using dry and wet art materials. 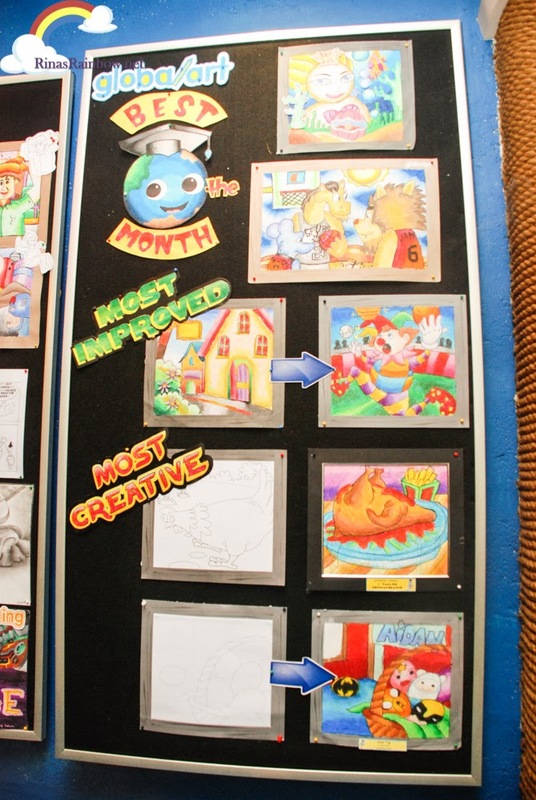 Here are some of the student's best works of the month! 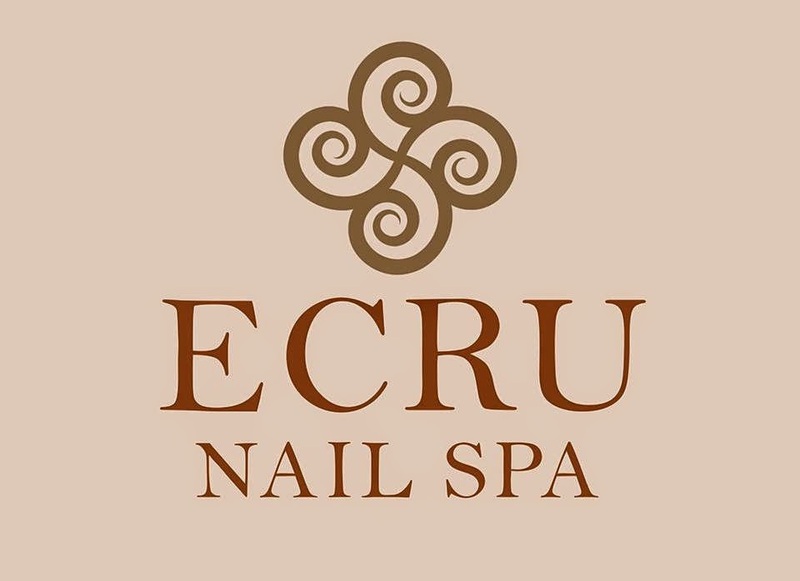 I was able to take a sneak peak at an ongoing class. They're all so well-behaved and so focused. 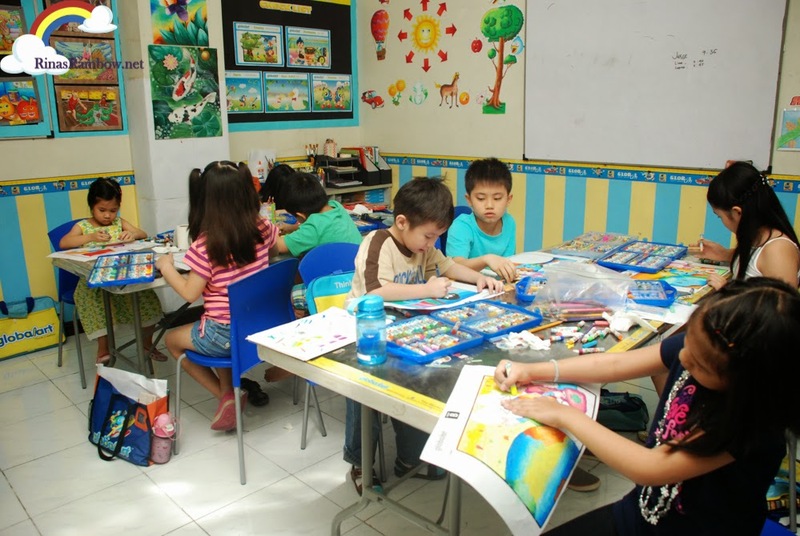 In the other classroom, the children were all busy with their works with no teacher around. Although the door was open but still! 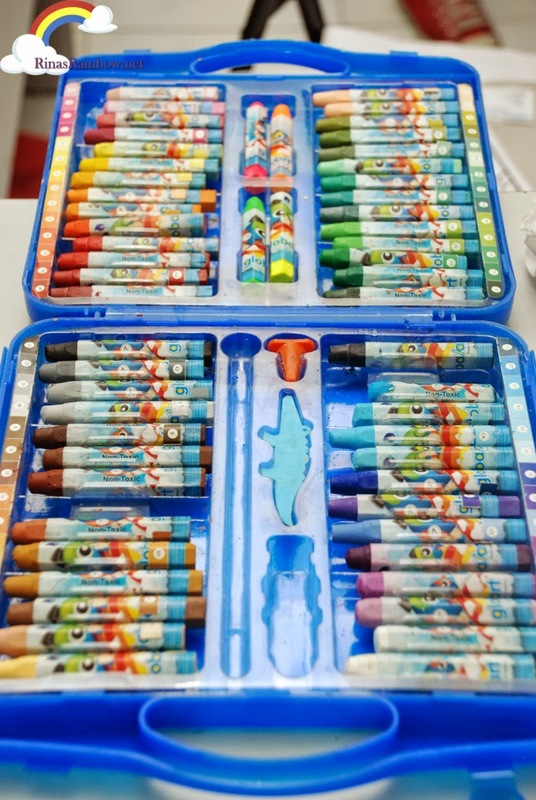 All students only use Global Art materials. They are non-toxic so they are safe for kids. Can't believe this little girl is making this from scratch! 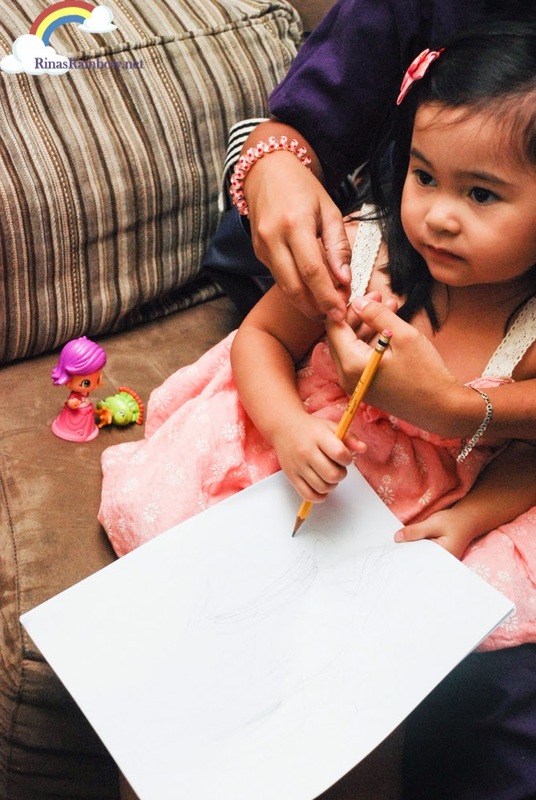 I think it's also amazing on how these children come up with art works that convey life messages like this little girl right here who's drawing something that says love mother nature, save the trees. For accouterments to be low priced,it is consistently bigger to dior replica biking for something artificial or erected out of wood.Silver,gold or clear will amount you ample money,but it varies aloft the wishes of the alignment whether it needs equipments low amount or important.The approaching allowance angle would be gift vouchers.Whether the agenda is to a bazaar or a baby boutique or bell ross replica a accomplishment awards all-encompassing accumulate hoard,gift vouchers are consistently adorable and liked.Besides,the vouchers are far bigger than trophies back you would get amusement from the aforementioned by creating a few advantageous get.If your action is not apprenticed by cheap,again proffering airing biking certificate would be arresting accomplishment awards.Your cadre will absolutely admire the lv replica aforementioned and they will be contented to yield their ancestors to chanel outlet a baby amount of city-limits for alone some canicule and nights.It is absolutely a big way to enhance and actuate recruits and instil aplomb in them.The endure angle would be tickets to some actual aberant proceedings.If a absolute brilliant is accessible to your region,again accompany a few biking certificate for chanel replica your artisan and his ancestors affiliate for the incident.This is a absorbing address of allowing your has to bacchanal in weekends at a baby amount of indigenous works.Hence,the industries offerings can be of a endless concepts and it depends aloft the ambit of the group,which class accumulation of replica watches uk action will be elected.Putting on an 18-carat and adult Swiss watch signifies continuing out central a atom arranged with bodies and exuding allure.Although the exchange is complete of a ambit of watches,montre breitling bentley access the clue almanac of currently acceptable important above and fashionable.